U.S. President Donald Trump is to hold a second summit with the leader of North Korea near the end of February to try to coax the North to give up its nuclear program. White House press secretary Sarah Sanders said Trump met for 90 minutes with Kim Yong Chol to discuss denuclearization and a second summit. She called the meeting "productive" and said the president looks forward to meeting with North Korean leader Kim Jong-un at a place to be announced at a later date. Trump had his first, historic meeting with Kim last June in Singapore and reached a vague denuclearization agreement, but little tangible progress has been made since. So far, no details have been publicly released about how denuclearization could occur. UN Secretary-General Antonio Guterres said earlier Friday that "it's high time" for serious negotiations on decnuclearization of the Korean peninsula. The UN chief told a press conference at UN headquarters in New York on Friday that a roadmap would allow both sides "to know exactly what the next steps will be and to have predictability in the way negotiations take place." Since the first summit, several private analysts have published reports detailing continuing North Korean development of nuclear and missile technology. A planned meeting between Pompeo and the envoy, who is North Korea's former spy chief, in New York last November was called off abruptly. U.S. officials said at the time that North Korea had canceled the session. The North has demanded that the U.S. end harsh economic penalties and provide security guarantees before the it takes any steps beyond its initial suspension of nuclear and missile tests. U.S. Vice-President Mike Pence said Wednesday that the U.S. is still awaiting "concrete steps" by North Korea to dismantle the nuclear weapons that threaten our people and our allies in the region." 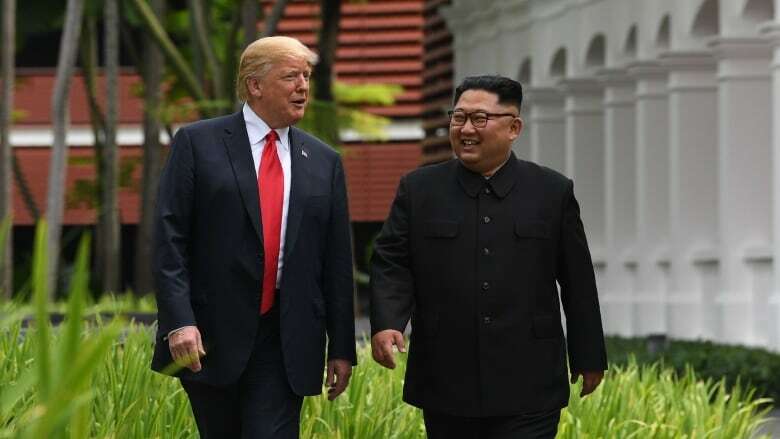 Kim's latest trip to China, his fourth since last year, came as the North's strongest ally has encouraged negotiations with the U.S. while at the same time arguing in favour of immediate easing of sanctions. The U.S. and North Korea seemed close to war at points during 2017. The North staged a series of weapon tests that brought it closer to its nuclear goal of one day being able to target anywhere on the U.S. mainland. The two sides then turned to insulting each other: Trump called Kim "Little Rocket Man" and North Korea said Trump was a "dotard." Kim abruptly turned to diplomacy with Seoul and Washington last year, possibly fearing economic harm from the penalties imposed over the weapon tests.